Democrats are typically the staunchest supporters of the American social safety net, particularly when it comes to Medicare and Social Security. Thus, it came as a surprise when President Obama submitted a budget that made some concessions to congressional Republicans on Social Security. The crux of the President’s proposal for Social Security was that its benefits would be linked to the Consumer Price Index (CPI). As it stands, Social Security pension benefits are periodically evaluated and adjusted for inflation, which makes cost-of-living cost increases manageable for pensioners. By tying benefits to the CPI, people receiving Social Security benefits would get less than they do under the current plan. For example, a person who retires at 65 and receives $20,000 annually in social security would receive $289 less monthly under President Obama’s proposed plan. House Democrats were shocked by the proposal and were wary of accepting it. Minority Leader Nancy Pelosi arranged a meeting with the Democratic Caucus to discuss the issue. The majority of the caucus was against the proposal and concerned about the possibility of it being adopted. However, constituents shouldn’t fear that Social Security benefits will be needlessly limited. President Obama and the Democratic members of the legislature would only be willing to yield Social Security if the Republicans were also willing to make some serious concessions, in the name of balancing the budget. But considering that, according to Speaker Boehner’s remarks, this Social Security proposal is viewed as such a minor issue by Republicans— it is unlikely that it will generate any kind of meaningful compromise across the aisle. Unfortunately, the issue of indexation is not something Republicans really care about and the President’s proposal makes both parties unhappy. This makes it unlikely that Social Security reforms of this nature will make it through Congress. In the short term, Social Security does not seem to be in danger; however, conservatives have dabbled in limiting Social Security since the beginning of this century. There are two indexation issues that come to play in calculating Social Security benefits: the first is the one addressed by the President’s proposal and the second (the one Republicans care about) relates to calculating the initial benefits for new retirees. This is actually something Republicans attempted (but ultimately failed) to reform back in 2005. The initial plan was to divert part of patrol taxes into personal retirement accounts. When this didn’t work out, Republicans looked into reforming how initial benefits are calculated, but that also failed due to Democratic opposition as well as blowback from far right conservatives. People can begin collecting Social Security Income (SSI) when they retire. The Social Security Administration states that there is no “best age” at which to being receiving Social Security benefits, but they do explain that retirees collect a greater monthly income when they wait longer to retire. However, for some people it can be more beneficial to retire sooner, even if it means collecting less in monthly benefits. People can retire and begin collecting benefits as early as age 62, but the “full” retirement benefits are only available to those who are aged 66 or older. In order to be eligible for Social Security Income, a person must live in the United States and be a citizen or a national. It is possible to complete most of an application for SSI online at www.socialsecurity.gov (please note that only websites ending in .gov are official government websites) or toll-free by phone at 1-800-772-1213. 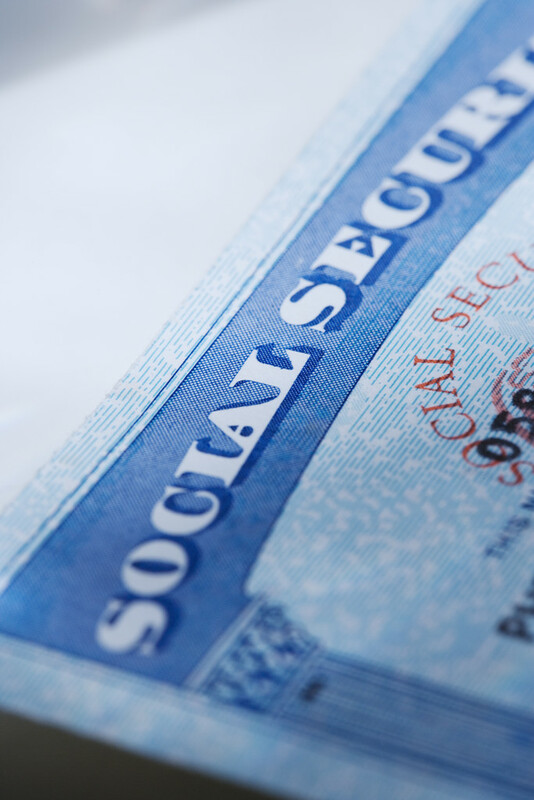 When visiting the Social Security office to finish applying, a social security card, birth certificate, payroll information, and residence information are required. See SSA.gov for more information on what to bring. Angie Picardo is a staff writer for NerdWallet. Her mission is to help consumers stay financially savvy, and save some money with the best online savings account.